Remember when America collectively embraced the insulated pizza box delivery sleeve, and we patted ourselves on the back because it seemed like we had reached the pinnacle of pie delivery technology? Well, we didn't, and South Korea has taken up where we left off. 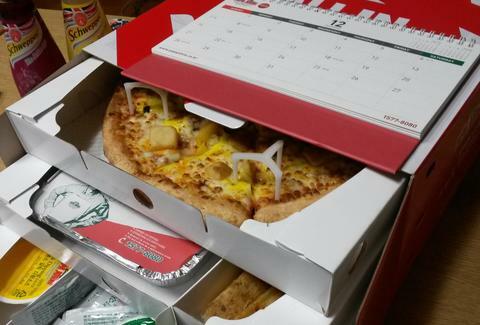 Case in point: this delivery box (here's a full-size photo) from Papa John's Korea, which has SHELVES FULL OF FOOD. WHAT?! And here we were, thinking soggy bags were the only available receptacles for all those side dishes. 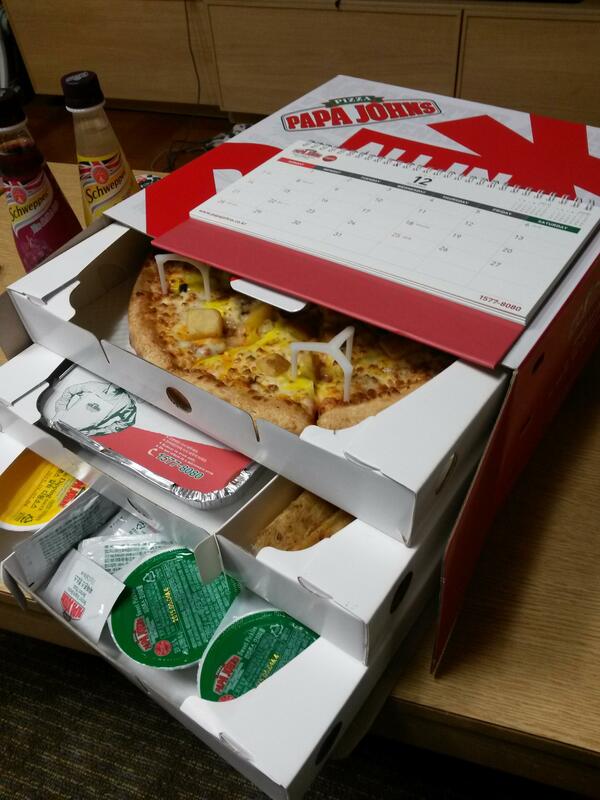 It turns out that Papa John's in Korea offers what's called an All In One Box (here photographed by heroic redditor bluenova4001), which contains: pizza, chicken tenders, fries, pasta, assorted dips, pickles, a giant cookie, and plastic utensils. Oh, and there's a 2015 calendar on top, just in case you want to plot out which single day per week you need to order food. The whole thing goes for 30,000 South Korean won, which is about $27. The Korean Papa John's Facebook page is here. The American Papa John's Facebook page is here, so you can tell them to get on this sh*t.
Adam Lapetina is a Food/Drink staff writer for Thrillist, and would honestly take a single one of these filled with garlic sauce. Read his musings at @adamlapetina.